Fixed star Acumen, M7 Scorpius, is an open cluster of stars above the sting of the Scorpion, Scorpius Constellation. Acumen is a companion cluster to Aculeus, the Butterfly Cluster. 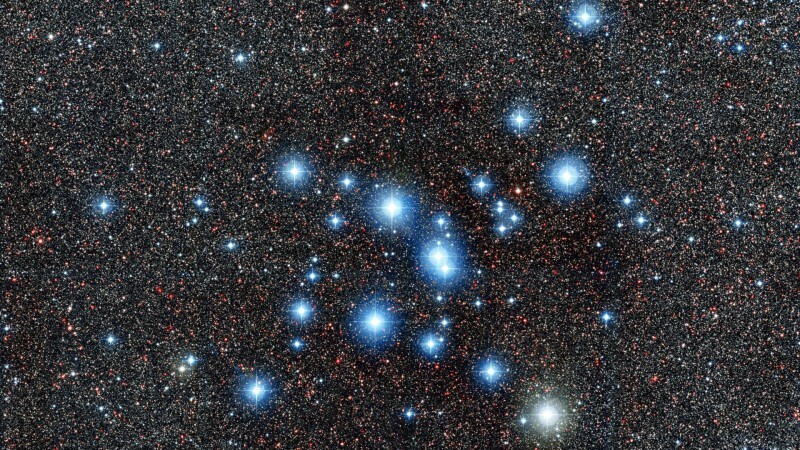 M7, or Messier 7, is also known as the Ptolemy Cluster. M7 was first recorded by the 1st-century Greek-Roman astronomer Ptolemy, who described it as a nebula in 130 AD. Venus conjunct Acumen: Tony Abbott 0°46′. 4. The Fixed Star Health and Behavior Imbalance, Ted George and Barbara Parker, 1985, p.115. Yesterday I had to guide 2 sight impaired people around my work place, and it occurred to me how much TRUST they must have, even in total strangers – for help to navigate in a world unseen. I realised how it has parallels with the spiritual journey, how the unseen is seen- not always through the physical eyes but the eyes of the soul- through the inner knowing, observation, a listening to self and a change of perspective. 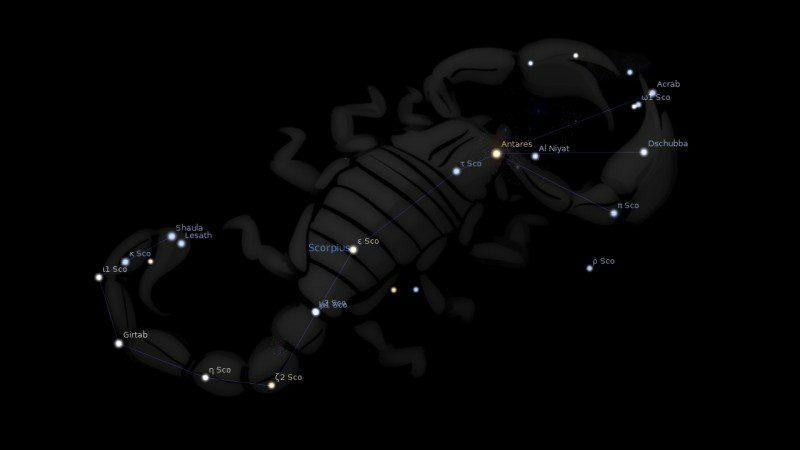 On 13 April, 1819, during the time when our Moon hid from the sight of man the brightest star in the constellation Scorpius, the scorpion, Antares, Professor Bürg of Austria made an astonishing discovery. As if a veil had been removed from his eyes, a new star could clearly be seen. Antares was no solitary star after all, but had a much-less-bright companion. The existence of Antares B was reported to the appropriate authorities and news of the exciting discovery reached London some weeks4 later. On 24 May, 1819, a daughter was born to the Duke and Duchess of Kent at Kensington Palace, London. Wasn’t going to post again, but I think I’m getting a fixed star obession- Holy Moly there in lies the true magic!!!!! Wow. Sounds like you’ve caught the same bug I got about 20 years ago. Just checked Queen Victoria’s chart. She has Uranus conjunct Neptune in the Sting of the Scorpion. Uranus conjunct Aculeus and Neptune conjunct Acumen. Interesting as there was a story about Queen Victoria (it was said) that she refused to approve making a law against lesbians illegal, as it was her opinion that such things would be a physical impossibility between women- so the law was never passed, in other words – She refused to SEE them! I think it’s since been proven to be a myth, but still it travelled..perhaps the energy played out in that way. I expect the Moon here would give a strong and accurate intuition. Saturn and Ascendant conjunct acumen? What about north node conjunction?